Sol Campbell speculation | NUFC Blog. 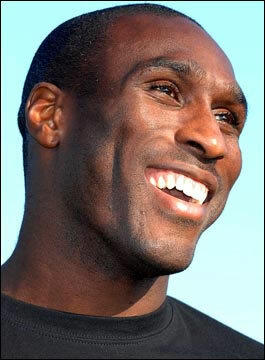 Archive for tag: Sol Campbell speculation. Sol Campbell – ‘Free’ to choose life at the Toon? Free to do what he wants, any old time? Rumours coming from a number of sources including The Telegraph and The Sun in the last 48 hours, claim that Sol Campbell may be on the verge of joining Newcastle, now that his contract has officially been cancelled with Notts County. Now this isn’t exactly new, or ground-breaking news as it’s something the majority of us have been hearing about for quite some months. “Well Sol would be one of a number of players that, of course, we will be assessing over the next month because come the end of January we have to make sure that we have the right squad and the right players. Of course it is not only us that know about Sol’s situation and it won’t only be us who are interested. The most important thing for us is that in that last hour of the window that we have a squad in place that will take us through the last period of this season which will be a very demanding period. 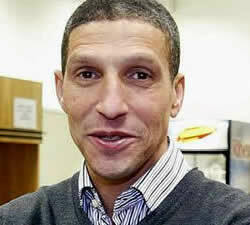 Hughton going cool on Sol? “I think there is always an interest in quality players that might become available, he said. “You do get names thrown at you and often they are not names you have actively sought. It seems that the interest has been generated by Campbell’s camp as Sol has shown a desire to play for the Toon. Sol is currently still on the books at County, after a high profile and less than successful move. With a successful career playing for Tottenham, Arsenal and Portsmouth he is keen to seek a new home. Perhaps Sol is being astute in these ‘credit crunch’ times and thinks he has the opportunity to re-use some of the black and white from the ‘Magpies’ of Notts County, whilst minimising fuel costs on his trip into work from Northumbria. However he may need to show similar consideration to the pockets of the Toon if it comes to a signing. Meanwhile, for Hughton, work is pretty busy. There is additional speculation around signing Gary Caldwell and Hughton’s immediate focus is on concluding a way ahead with Fabrice Pancrate. 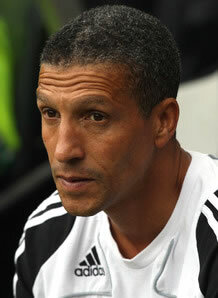 Hughton ready to strike in January? Newcastle United’s manager, Chris Hughton, has seemingly had “more rabbit than Sainsbury’s” (to quote the famous Chas n’ Dave song) in the last few days. Today, he was looking at future transfers, suggesting that while he is always on the lookout for new players that could genuiniely improve the squad, he would not sign bodies just for the sake of it, and will probably hold out until the January transfer window.